Google One appears to be officially launching in India now, per a number of tipsters who have gotten in touch with us in the last day or so. Screenshots follow. This doesn't replace Drive, mind you, it's just the new name for the various price tiers associated with Google's products, as we noted in the original announcement post. 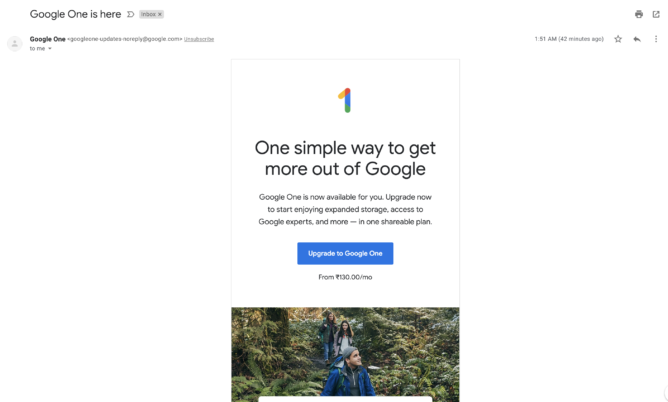 Another advantage of One is getting quick access to help from Google, like recovering a file or learning how to use some of the other services (like Gmail offline). In typical Google rollout fashion, if you're a paid Drive user, you'll be upgraded to One in the coming weeks. You'll get a confirmation email when the switch is complete for your account. If you're really excited, then you can sign up to be notified of updates here. 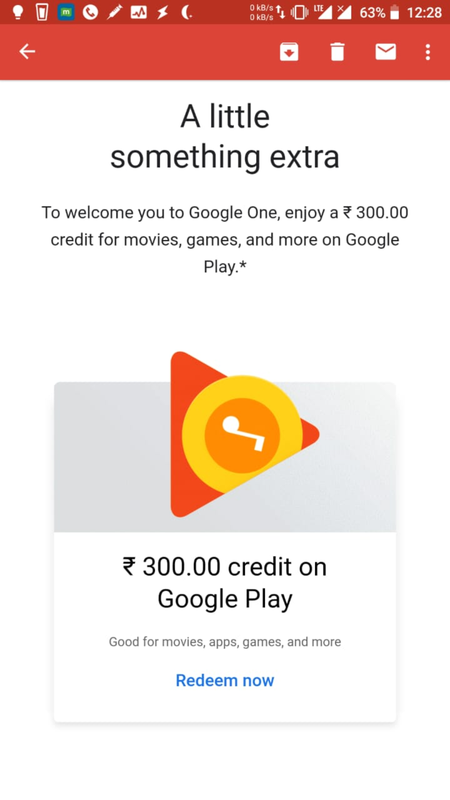 Google One appears to be officially launching in India now, per a number of tipsters who have gotten in touch with us in the last day or so. Screenshots follow. 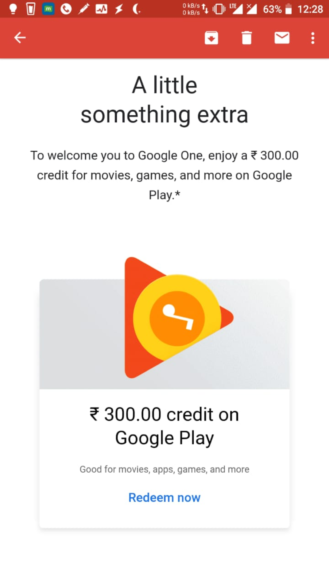 Some users are also reporting a free offer for 300 Rupees of Google Play credit via an email, also pictured.